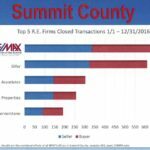 With almost 650 transactions closed, RE/MAX Properties of the Summit was the #1 real estate agency in 2016, topping the next four most productive agencies. Our clients bought and sold homes throughout Breckenridge, Keystone, Copper, Dillon, Frisco and Silverthorne, enjoying the personalized, top-tier service they have come to rely on. 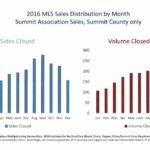 September 2016 edged out October (which was the busiest month from 2013-2015), with 500 transactions closed, totaling nearly $300,000,000 in sales volume. Another surprise was August coming in as the second busiest month with 475 closed transactions bringing in $250,000,000. 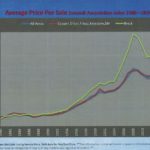 Once again, January and February were the slowest months, each averaging 200 sides closed and $120,000,000 in sales. 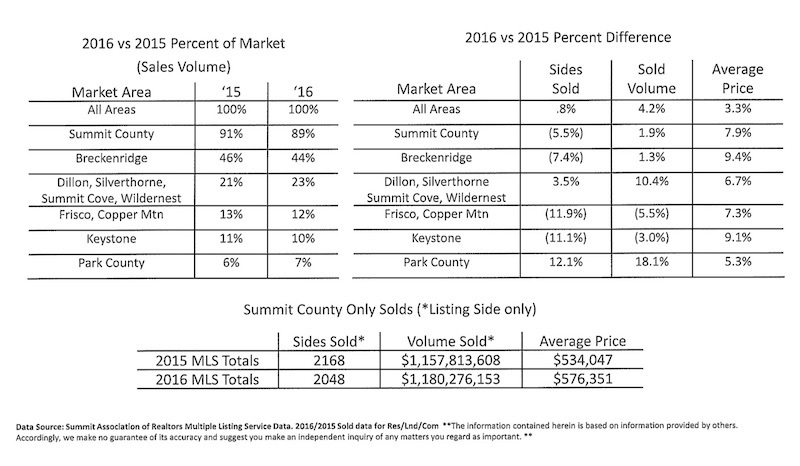 2016 sales volume for Breckenridge was 44% of the county’s total, down slightly from 46% in 2015, but still accounting for the majority of real estate sales in Summit County. 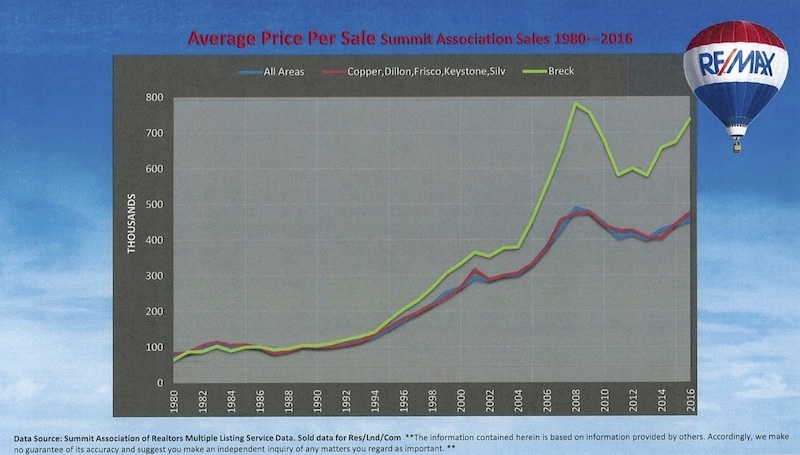 In descending order the next most popular areas were Dillon, Silverthorne, Wildernest, Summit Cove, Frisco, Copper and Keystone. 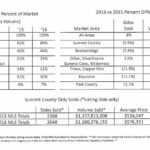 In Breckenridge, the average price per sale rose from $685,000 in 2015 to nearly $750,000. 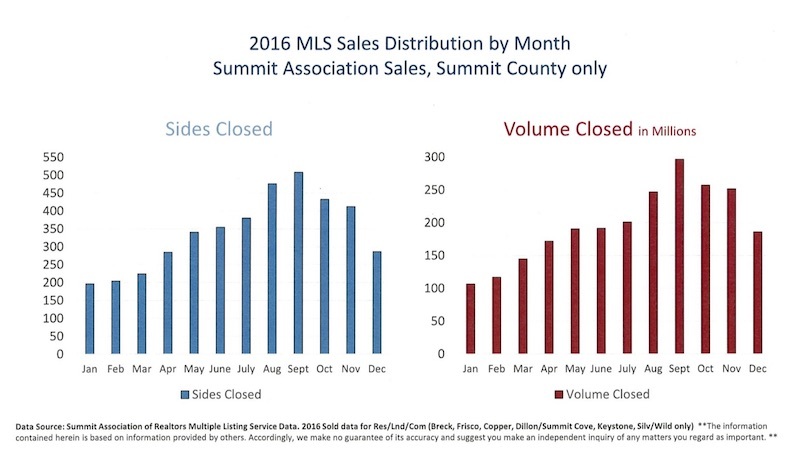 The average price per sale in Summit County was $475,000, an increase over the 2015 figure of $440,000. These statistics show that Breckenridge is becoming more and more attractive as a year-round destination. 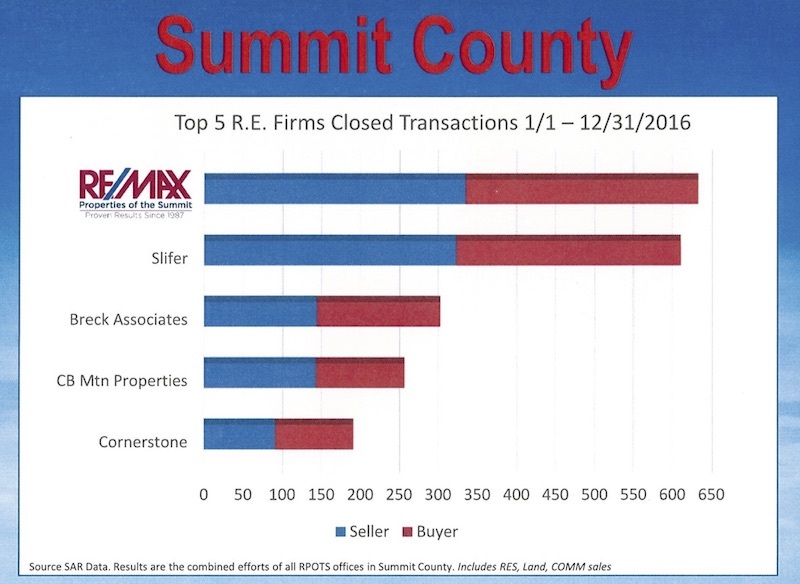 If you are interested in buying or selling a real estate in Breckenridge, or anywhere in Summit County, please call me at (970) 390-9311 today.